​Quora marketing may seem to be brand new to beginners but in fact, online marketer’s have discovered a powerful way to attract more visitors to their website like flies. Learn how to outsmart your competition with Quora marketing. Quora marketing has been around since 2009. It’s founders Adam D Angelo and Charlie Chiever, Both did a lot of work for Facebook. They set out to establish something totally different and they discover Quora. It a community of special people with a lot of knowledge in particular niches. You can connect with people who are experts and building businesses based on your niche. If your niche is affiliate marketing such as mine, You can connect with people who are in the same niche. That way you can ask or answer questions in the community. Quora is a community that anyone can ask or answer questions on certain topics. The community also votes on with answer is the most helpful to others in the community. It a community of experts sharing their expertise about a business, product or services. This is one of the reason Quora marketing work so well in the community. If you haven’t join Quora, then you’re missing some awesome traffic to your website. Go Here To Join Quora. How Can Quora Marketing Help Your Business? Give solution to anyone asking for a business, product or services. Lead and share content from another website including your own website that focuses on a particular subject or topic. Get advice to people looking for answers about your business or niche. Learn from other people in your niche. So, you can see how Quora marketing can help your business grow and drive more visitors to your website. One of the great benefits of Quora marketing is that it builds authority among your followers. Letting quora build your reputation in your niche will drive more traffic to your blog or website. Quora marketing helps build trust with people in your niche that needs questions answer. It’s hard getting traffic to your website if people don’t trust you. This allows you to show off your knowledge in your niche. Letting people know that you care about your business and want to help them along the way. Quora marketing helps you get the attention and gain influence among people in your niche. It’s very helpful in marketing your blog or website using Quora as a platform to connect with people in your niche. This is a strategy that will bring a lot of traffic to your website. The amount of traffic you can attract has the potential of reaching over 200 million visitors every single day. The good thing about using ​Quora Marketing is you can reach targeted people within your niche. People are looking for answers and you can provide the answer and the solution to the problem by directing them to your website. Therefore you should consider using Quora to attract potential prospects to your site. How Can​ Quora Marketing Grow Your Business? Brain Storm Article Topic: You can learn what your audience wants by writing an answer to the relevant question they asking. Quora is a platform for topic and discussion. You can start off by answering a popular question in the community. If you have the answer on your website just paste the link into the box and Quora will automatically put it in hyperlinked. This is good if you have good content on your site. Learn About Your Niche: With the expert discussion going on Quora, you can easily look for topics and question in your niche. 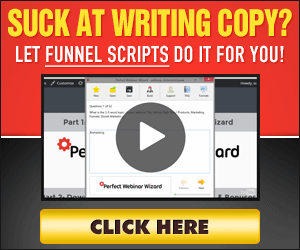 This will give you a lot of ideas to write about and help drive more traffic to your site. Increases You Awareness In Your Business Niche: By answering the popular question, this will increase awareness in your business niche. People will begin to following and implement what they have learned from you. So, you can learn a lot by doing ​Quora Marketing in your own business. I highly recommend given Quora a try in boosting traffic to your site. Hey Fernglow thanks for sharing your thoughts on this article. Quora marketing is been use by online marketer around the world and I hoping you see the true value in using this free tool to help generate traffic. I believe this was something I may have heard of, but often forgot was a thing. That being said, I have been building my internet business for the past 6 months, so this sounds like something I will have to look into! There were times in the past when I searched for answers online and came across Quora articles with step by step answers. Seeing as how popular and active it is, this does sound like a great way to get your solution out to more people that have that specific problem. My question is, what method would you recommend for new members to start with when using that platform to market their business to more visitors? Really interesting article here about quora marketing! I have always used Quora as a platform to read and learn since most of the content, in my opinion, is much more intelligent than the other social media out there! I’ll try it today after your article seems the traffic and stats seem really promising! I never think of using Quora to market since it’s is one of the underdogs and hopefully we will do well with it! Thanks for this article, really helpful!